A wedding is always a very special day, maybe even the most important one of your whole life. So of course every bride wants to look perfect for that unique occasion! Therefore she does not only need the most beautiful wedding dress but also nice jewelry, a pair of wedding shoes and an amazing hairstyle. 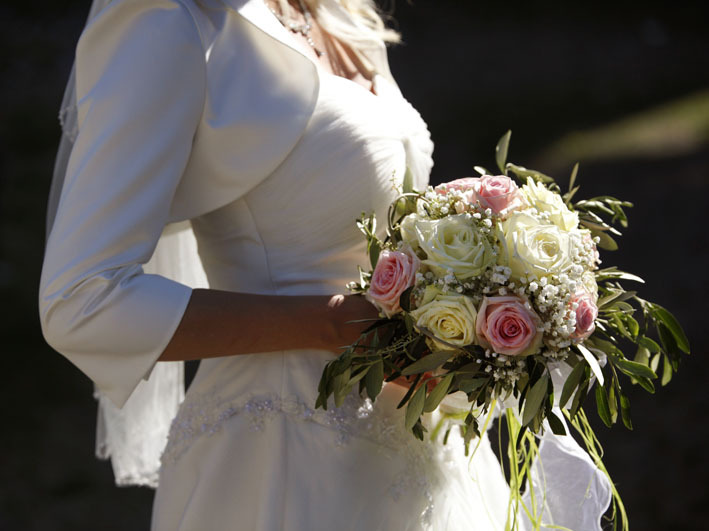 Of course, a nice bridal bouquet is a must-have as well! And there is such a huge diversity: you can choose your favorite kind of flowers – be it roses, lilies, anemones or any other flower you like. Also concerning the selection of colours, there are virtually no limits which makes it possible for you to design your bouquet in accordance with your own wishes. Due to this, your bridal bouquet will be a very individual and unique accessory that makes your wedding look complete!